HP is a household name by now where printer technology is concerned, and the company could stumble onto something new with their HP LaserJet Pro printer line that has a spanking new ”plug and print” technology which enables customers to begin printing in just 2 minutes from any computer without the need to go through a pesky CD installation process. Basically, all you need to do is hook up the printer to a machine via USB and let the printer’s built-in driver perform the installation process to get you printing in no time at all. This new process is called HP Smart Install, and we will look at new monochrome printers equipped with such technology in the extended post. The HP LaserJet Pro P1100 Printer series will come with HP Smart Install, and are the most energy-efficient laser printer on the planet as at point of publishing. Apart from that, the other series that will feature this plug and print technology includes the HP LaserJet Pro M1130/M1210 Multifunction Printer (MFP) and the HP LaserJet Pro P1566/P1606dn printer. The new HP LaserJet Pro lineup will all come in a very business-like design, featuring a sleek, black finish without compromising on performance as it delivers professional, cost-effective results while enabling small and midsize businesses (SMBs) to reduce their environmental impact. The HP Auto-On Technology which has been incorporated is able to intelligently sense activity, including knowing when a print job is sent to the printer, where it will automatically wake the device up from its “off” mode. 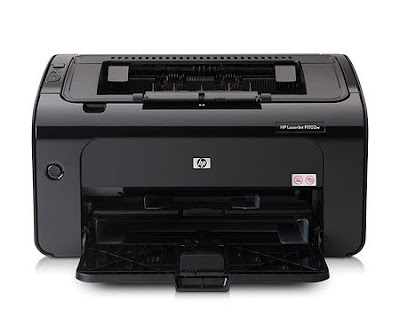 This will work hand in hand with HP Auto-Off Technology that automatically adjusts the power settings and turns the printer off when there is no print activity. Research has shown that such technology enables the new HP LaserJet P1100 Printer series to save up to 72% on energy costs versus its predecessor, although real world usage would probably yield a lower result as with most cases. Price start from $129 upwards, depending on the series as well as printer type selected.